I cannot compare this to other brushes as I haven't used one for years but this seems perfectly acceptable to me. I would like to compare it to a real badger bristle brush at some point. The stand that comes with the brush is rubbish though, I threw mine away. 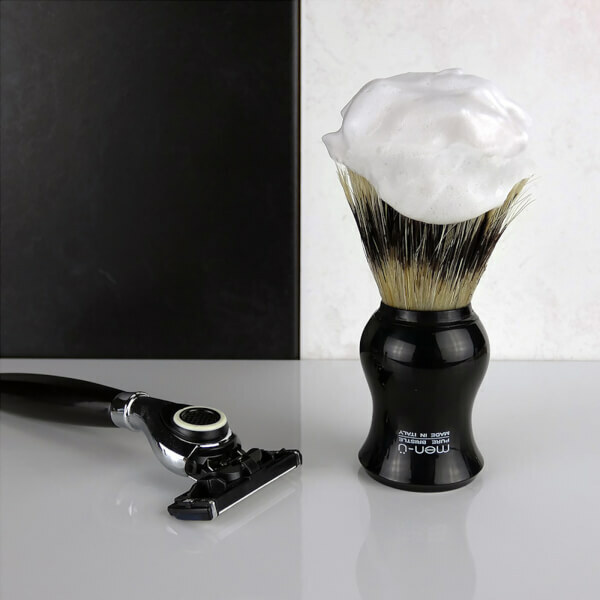 Barbiere Shaving Brush and Stand - Black is a nice little 'entry-level' shaving brush and stand. It's good value for money. The brush seems OK so far; the stand is a little thin, but does its job. The tube of shaving cream is tiny, but a nice gesture and allows you to try out shaving cream, rather than just soap. A few, loose bristles came out when I first used it, but the instructions do mention this is a possibility. Overall, good value-for-money for the price that I paid. This was my first shaving brush and I wanted to try a traditional shave on of the best shaves I ever had! This brush is excellent value and creates a good lather when used with shaving cream. I personally use Truefitts & Hills which gives you a super smooth shave. This brush is amazing. It brings up a good lather with ease, and is just the right balance between stiffness and softness to bring up the stubble for a very close shave. Stylish and practical, it is easy to see why top London barbers use this understated Italian classic. It is the Maserati of shaving brushes. Using shaving soap and a brush gives a less irritating, closer shave than most gels/foams. Go on, try it! Can't believe I never used a shaving brush before, it really does make shaving in the morning a lot easier and enjoyable. This brush is perfect to start with if your unsure a brush is something you need. Nice brush, although there are some hair falling out already. Don't have a good comparison of a badger brush yet, but does good lathering. If you don't want to spend a lot of money on brushes (although they say it's worth it), this is a nice alternative. You cannot deny it's cheap and that it does a job. However, if you want a proper job (no bristles falling out, turning a funny colour etc.) then spend out a bit more and get a proper badger hair brush which will last for years. 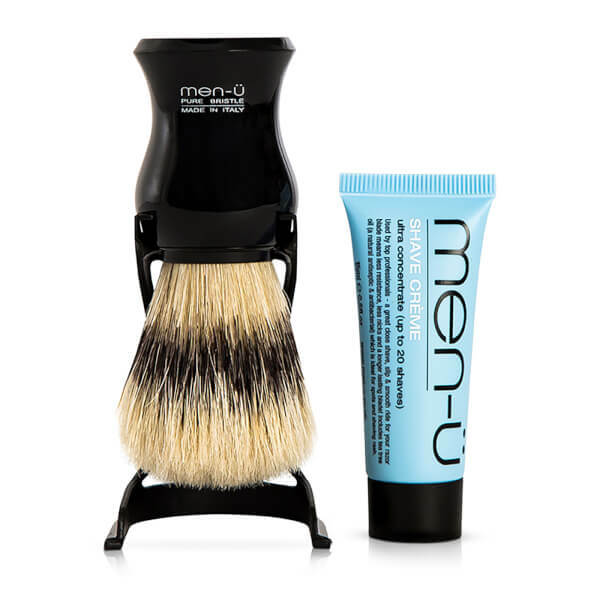 No point forking out for expensive shave creams then using this.